I offer a unique form of legal practice to suit the needs of the both emerging and growing companies which may not have their own in-house counsel or where their legal needs exceed their existing internal resources. I draw on my law firm training and my years as in-house counsel, to give my clients the services they need when they need it, with a deep understanding of the fields of digital media, advertising, internet services and technology, representing both content owners and publishers. I act as in-house counsel for an emerging or smaller business, working closely with the executives to help formulate company strategy and fulfill day-to-day legal needs. Over the last four years for the StumbleUpon web and mobile discovery service, I served as sole company counsel, with one day a week in the office and additional remote hours. My work includes: negotiating and drafting technology licenses and service agreements, standardization and review of all sales forms and agreements, product review, advertising and marketing legal oversight, supervision of outside law firms, and providing general business and strategic legal advice to management. For three years at the Big Frame multi-channel network, I acted as internal counsel creating models for exclusive talent agreements, production contracts, terms of service & management deals, helping to take the business to the next level & its acquisition by AwesomenessTV. I supplement an existing in-house legal team, where their legal needs over all or in a particular area exceed their internal resources. At Roku, I initially worked with the sales team on insertion orders, advertising policies & data management agreements, shifting later to support the content acquisition team, negotiating development and distribution agreements for the Roku OTT platform. I provide project-based representation, working in a specific area requiring focused legal attention. I helped SoundHound pivot from a consumer-facing music recognition mobile app to a voice-enabling API for app developers, where I negotiated agreements with each of the data providers. For Game Rant I concluded a strategic advertising partnership and several ad network agreements. I support my client’s needs with creative models of representation and custom fee structures that work within your legal budget. Based in Beverly Hills, I often work at clients’ offices in Los Angeles and San Francisco, and support other clients remotely. I look forward to working with you! 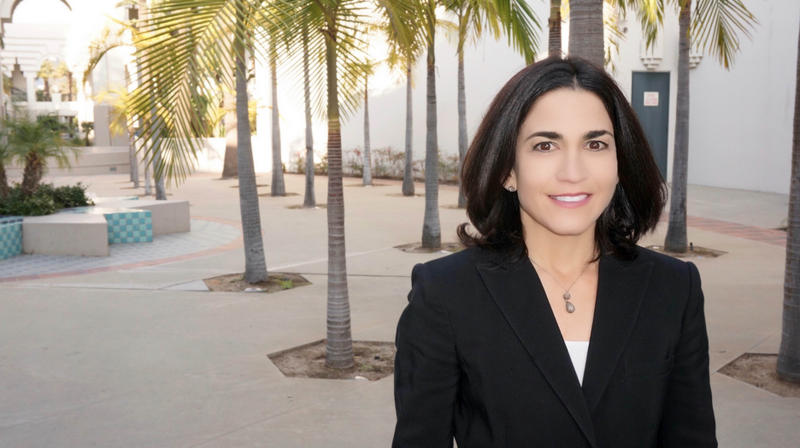 Dina serves as an adjunct member of Roku’s in-house legal team. We initially turned to Dina to provide cost-effective support to our growing digital content distribution and advertising businesses when we simply had more work than we had in-house resources to cover. As our in-house team has grown, we have continued to work with Dina as a value-added resource and trusted advisor. Dina has worked on a wide variety of transactions in addition to helping us develop and evolve our business models and transaction documents. Dina understands our company’s culture, priorities and needs, and takes these into account in the work that she takes on for us. She is very invested in Roku’s success, and has built strong relationships with both members of the in-house legal team and our business clients. Dina’s broad legal and business experience in digital media and technology has been extremely valuable to us. Importantly, Dina has a strong work ethic, and it has been a pleasure for our team to partner with her. In her role as our legal counsel, Dina has partnered with the StumbleUpon team for the last four years. She plays an operating role in the business ranging from the review of the vendors, sales, technology and partners contracts, interface with outside counsel and general day to day legal advice on privacy and product questions. As a growing company interacting with both large and small corporations we constantly need to balance risk vs. opportunity. Her pragmatism in identifying and managing the exposures while still getting the deal done is her most valuable attribute. It is a pleasure to work with Dina and it feels like she’s part of the team and is a true counsel and sounding board on legal and business questions. Dina started working with Big Frame as our general counsel when we were a very new start-up trying to make sense of the collision between YouTube, a new type of talent, and the established worlds of Madison Avenue and Hollywood. I had been lucky enough to work with her previously at Yahoo! Music, so we had a high level of trust from the very beginning, which was crucial. Dina is hard-working and diligent, but also very flexible and solutions oriented. She was able to jump into the trenches and work side-by-side with my young staff while also helping the senior team chart a course towards sustainability. I can recommend Dina wholeheartedly both as a strong legal mind and as a fun, dedicated team member who strives for the overall success of the business. I had the pleasure of working with Dina back in our Yahoo! days, and I was so happy to be able to work with her again in this new venture. She is an awesome partner. I trust her implicitly. She provides a great perspective, helps me evaluate risk, but also knows how to frame things in a very business friendly way. She is quick, easy to work with and incredibly thorough. I would recommend her any time. VP & ASSOCIATE GENERAL COUNSEL, YAHOO! (c) 2018 Dina Hellerstein. Designed by Cori Shearer.